Fab Fours’ exclusive Rear Bumper for the Jeep JL encompasses superior strength and signature knife-edge design. 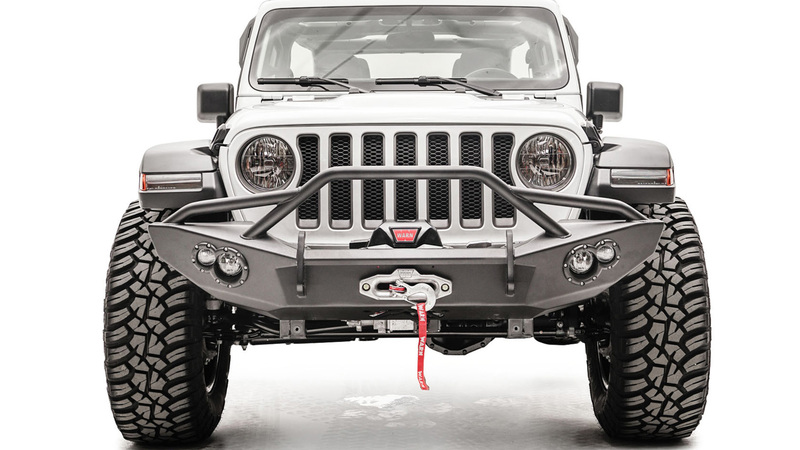 Look no further, the ultimate rear bumper for your Jeep JL is here. Integrated the existing receiver hitch and added D-Ring recovery points. This bumper is designed to be the ultimate in functionally-stylish rear end protection. Optional License Plate Bracket bolts onto the top corner of the base bumper. 2- Removable Skins for customization options. Cut outs to retain factory sensors. Materials: 3/16″ Steel Construction and 11 gauge steel plates.